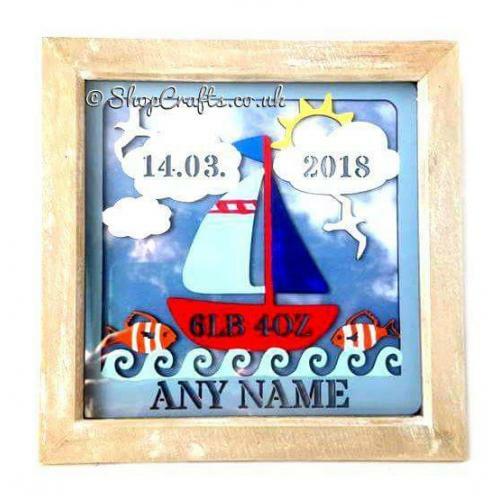 An inspirational variation of the traditional birth sampler bringing home décor and timeless keepsake to a new dimension. Originally, a decorative piece of cloth with letters, words and pictures sewed on it a birth sampler became popular in the 16th century to commemorate the birth of a child and hung on the family wall. 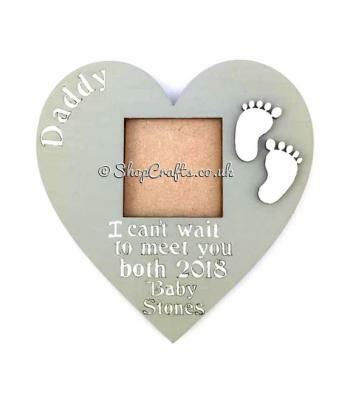 Celebrate the birth of a new bundle of joy with this contemporary style which brings die cutting to a new material, and consequently is a modern take on a traditional family heirloom. 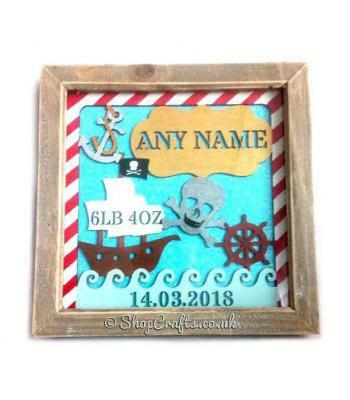 Using a seaside theme with a graceful rocking sailing boat and jumping fish, this birth sampler will capture the arrival of any new-born into the family and give a characteristic feature for their room. 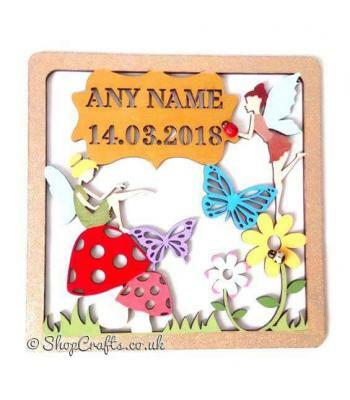 Whilst this piece has a die cut effect, this placard can be hung alone on any wall, while it is also offered as a framed item with a choice of backgrounds to be chosen from. 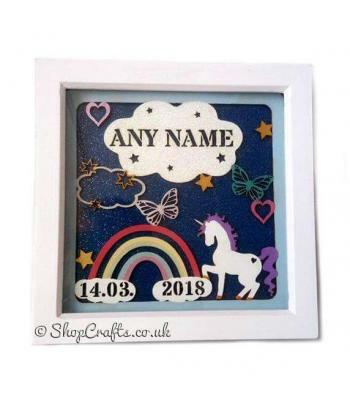 This item can be decorated in an array of colours to reflect the calm tranquility of what seems to be an idealic setting for this keepsake item, and allow peace to be given. The dimensions of this item are 19cm (L) x 0.3cm (D) x 19cm (H). As a framed item the dimensions of this item are 23.5cm (L) x 3.5cm (D) x 23.5cm (H). 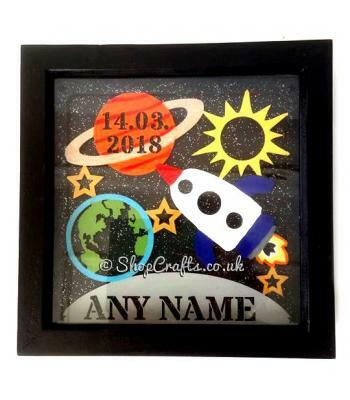 Please note start price stated is without box frame please - choose the relevant option from the drop down menu if you require it with the frame. On the reverse side of the item it is left unpainted.